Want an opportunity to get to know your neighbors and get some exercise. 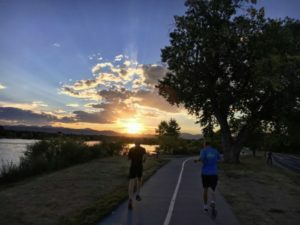 Every Monday at 6:30: Join your West Colfax neighbors for a fun run around Sloan's Lake and back to Seedstock Brewery for a 2 for 1 drink. All ability levels are welcome. We usually have about 10-20 runners/joggers so you are bound to find someone at your speed. Run 16 times and you earn your WeCAN Running Club pint glass! For more information, email RunningClub@wecandenver.org. 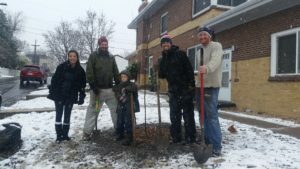 Every spring WeCAN partners with Denver Digs Trees and The Park People to help bring more trees to the West Colfax neighborhood. 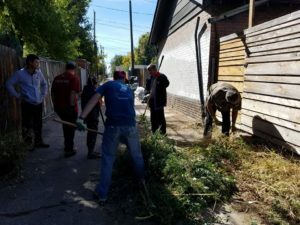 Volunteers canvas the neighborhood looking for yards that need trees, connecting neighbors to the free and low-cost trees available through this program. In April, WeCAN teams helps plant these tree for our elderly and disabled neighbors. Contact Josh@wecandenver.org if you would like to help canvas or plant trees in the spring. WeCAN collects Box Tops For Education for the neighborhood school of Colfax Elementary. Each Box Top collected is worth 10 cents, and the money goes directly toward supporting the school's Learning Garden. Box Tops are collected at every WeCAN General Membership Meeting, can be dropped off in the main office of the school, or contact Leah@wecandenver.org to arrange a donation. Clipping Box Tops is an easy way to support one of West Colfax's neighborhood schools! Each fall WeCAN collects school supplies for the West Colfax elementary schools, Cheltenham and Colfax. Neighbors come together to donate notebooks, pencils, markers, and other essential supplies to help support the students in our neighborhood. Donations are collected at the September WeCAN General Membership Meeting. 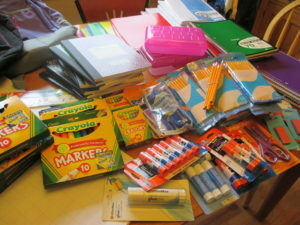 Contact Leah@wecandenver.org if you'd like to help out with the school supply drive. Bienvenidos Food Bank operates a seasonal mobile food pantry in West Colfax at the VFW building. WeCAN collects food donations at every November WeCAN General Membership Meeting and diapers at every May WeCAN General Membership Meeting to help support this resource in our neighborhood. Contact Leah@wecandenver.org if you would like to help with the food and diaper drives each year.